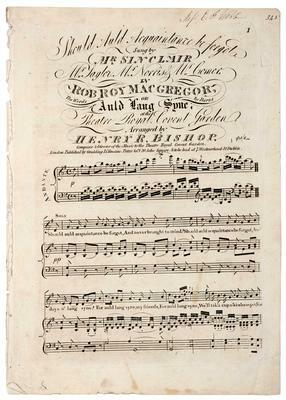 Printed music for Auld Lang Syne as sung in Rob Roy Macgregor at the Theatre Royal, Covent Garden, arranged by Henry Bishop. 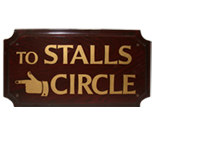 Bishop was music director at the Theatre Royal from 1810-24 where he was responsible for many of the songs interpolated into the plays. He also composed many operas for Covent Garden, several based on the novels of Sir Walter Scott, as well as re-writing some of Mozart’s operas for their first London performances.